The artist gave a rousing talk discussing his career and roots. Antone Dolezal, a photographer from Bartlesville, Oklahoma, visited TU on Nov. 8 at an event hosted by the Photo Club. He gave a lecture about his previous works, accomplishments and how he finds inspiration for his photographic projects. Dolezal got his undergraduate degree in photography at the University of Santa Fe in 2008 and later his masters at Syracuse University. During the ten-year gap between completing a bachelor’s degree and going to graduate school, Dolezal worked on projects and made connections that allowed him to show his work in several major galleries across the country. His photographs have been displayed in the Museum of Modern Art in New York, the Museum of Contemporary Photography in Chicago and the Smithsonian American Art and Portrait Gallery Library in Washington, D.C. He has also had his work published in Oxford American and VOGUE Italia. 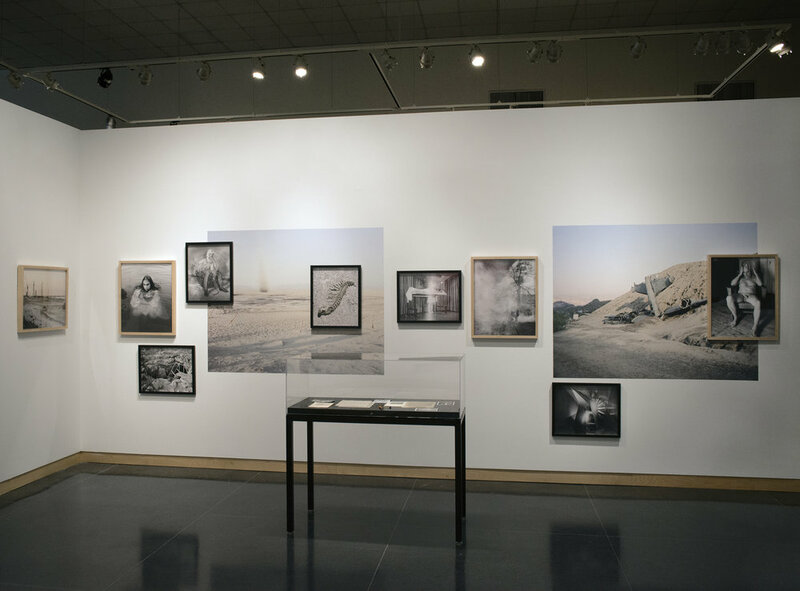 Dolezal started by discussing his work on the project “Devil’s Promenade” with fellow photographer Laura Shipley. Dolezal and Shipley worked in the Ozarks, documenting a popular story of the “spook light,” an orb of light that is said to appear to people in the woods. The Devil’s Promenade refers to a bridge people had to cross to get to the orb where people claimed to have seen the devil, who would grant them a wish in exchange for their souls. Dolezal and Shipley published “Devil’s Promenade” in a three-part book series titled “The Spook Light Chronicles.” He described the books as “photographs, mixture of quotes from people we spoke to, fictional stories we wrote, and Ozark folklore.” Dolezal had the idea to keep some of the copies before they sold out and make collectable book sets. These sets include prints and “spook rocks,” silver spray painted rocks people in the area used to sell to tourists. Box sets sold for $450 and Dolezal found they were easier to market to museums interested in showing his work. Another project Dolezal worked on, “Part of Fortune and Part of Spirit,” centers on new age religious groups, specifically in the American Southwest. Again, Dolezal turned to urban folklore to try to illustrate some fantastical stories and embed them in reality. He describes his work as a kind of magical realism in this way. He looks to the stories that he hears and videos that these groups create for inspiration to create a nuanced reinterpretation. In this project, Dolezal not only staged new photographs, like portraits or landscapes, but also reinterpreted archival photos. He would find and edit old photographs — NASA documentation of rockets, for example — and use them to tell new stories. Dolezal also looked to videos made by members of new age religious groups. He used films about their origins and mythology as inspiration to refine their stories to a single image.